Dr. Georgiy Brusovanik, MD is a minimally invasive spine surgeon. He trained at Duke university with both orthopedic and neurosurgical faculty. He specializes in helping patients with back and neck pain. Dr. Brusovanik is well known locally and internationally. He has helped numerous professional and Olympic athletes, executives and celebrities. He always attempts to help patients without surgery, but when surgery is indicated, his way of performing surgery minimizes pain and speeds recovery. 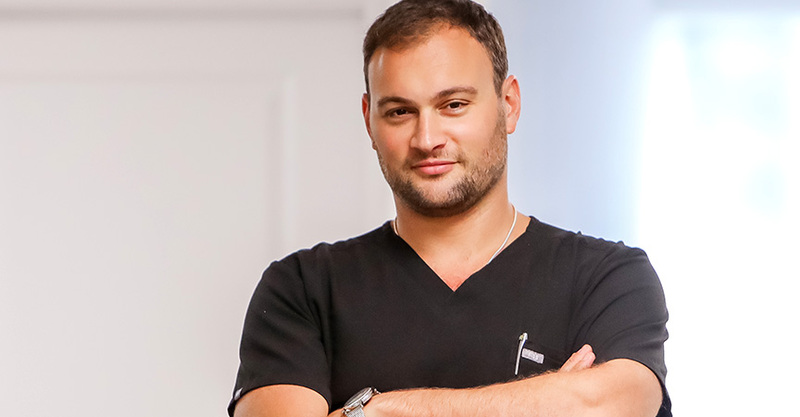 Born in Moscow, Dr. Brusovanik moved to Miami in 1992. He matriculated from University of Miami and has called Miami home for many years. He lives on Miami Beach with his wife and daughter. He speaks English, Spanish and Russian. Dr. Brusovanik treats patients not only in the United States but from across the world including Venezuela, Columbia, Bahamas, Dominican Republic, Mexico, Trinidad, Brazil, Ecuador, St. Thomas,British Virgin Islands, Argentina, Norway, and Nigeria. Click Here to see what his patients are saying. Dr. Brusovanik has authored over 30 publications on issues related to spine surgery. Dr. Brusovanik the Head of Spine Surgery at the new Miami Medical Center, a brand new 5 star hospital facility. Dr. Brusovanik supports the following charities; PETA, Center For Biological Diversity, National Resource Defense Council, Human Rights Campaign, and the Sierra Club. Injections Can Really Help With Back And Leg Pain. "…they saved me from doing something very stupid." Patients Can Obtain an MRI Prior to Seeing Dr. Brusovanik "It was amazing."